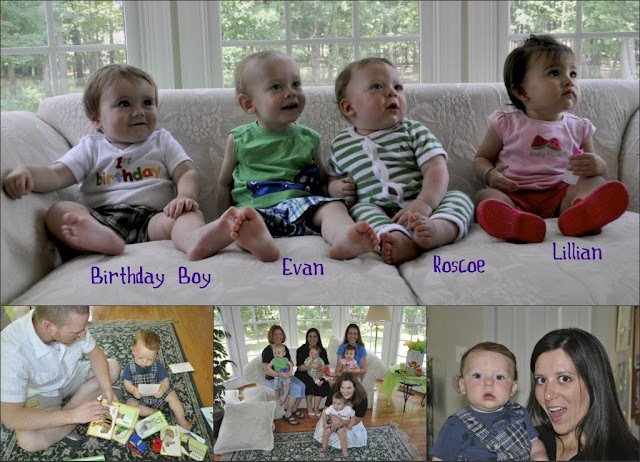 Jonathan turned one today and so we got to hang out with our Bradley friends for the afternoon! I love when we are together. The babies change so much between visits and their dynamic is hugely entertaining. Roscoe always plays the role of instigator: chewing, pinching, and pulling on anyone within reach. Do you think he'll outgrow this soon? Of course, I'm always appreciative and thankful for time with all my momma's too.